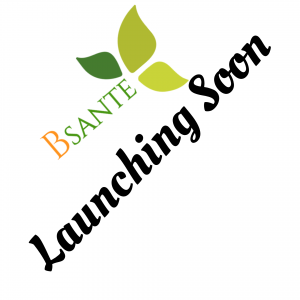 BSANTE BEAUTY is a range of cosmetics, food supplements for well-being. These products were made from berries, plants, fruits, bark, roots, shrubs … .issue of the Indian pharmacopoeia, our products are 100% natural and have been designed to optimize our health and prevent against so-called emerging diseases in us providing trace elements, powerful anti-oxidants, proteins in the unique perspective of strengthening, protect our well-being capital to extend our days. Our cosmetics soap, anti-pain essential oil, oil to regrow and grow hair, anti-wrinkle cream, shampoo, after shampoo, toothpaste, serum for wrinkles, coconut oil, Amla oil and noni … , are made from natural extracts and are all from the lush Indian nature and benefactor. We selected them with delicacy and precision for their high content of trace elements and for their efficient properties for the beauty and the protection of our body. Thus, no chemical additives, preservatives, sulphates or parabens are found in our products. Several researches and experiments have demonstrated that the cosmetic products that we use daily contain chemicals dangerous for the health because they cause without our knowledge emerging diseases and cancers or even allergies. Our products are effective with amazing results: the essential anti-pain oil and the hair booster to regrow or grow hair, are extraordinary examples. The products are carefully selected on the spot as part of an ancestral process. The strength of BSanté lies in its partnership with several pharmacists, chemists and Ayurvedic doctors who privilege the authenticity and preservation and use of plants and roots. Another asset of BSanté lies in his in-depth knowledge of India, which strives to take into account its cultural, gastronomic and sociological diversity. The manufacture of BSanté products results from multiple combinations of plants, berries, roots, carefully selected fruits in order to preserve the original substances for optimal benefits. This reconciliation with nature is a symbiotic step with the ideology of BSanté to know: The abundant and lush nature is naturally generous, it offers us all its virtues and properties for our health, our well being and our beauty, it it is up to us to respect and value it.